Guardian Gear cotton web training leads provide extra strength for controlling large dogs. This extra long training lead is designed for distance training. 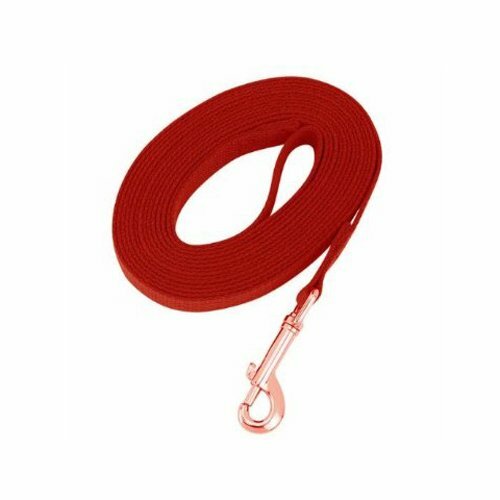 Handle the dogs with this sturdy leads. This cotton web dog training leads heavy duty 100-percent cotton web lead is strong enough to control even large dogs. Swivel-style bolt snap resists twisting. Cotton web raining lead is available in the red color. This lead is guaranteed for life. Measures 5/8-inch width by 30-feet length.